As anyone who has performed some simple time and motion exercises at work will agree, it takes very little in terms of change to effectively improve the efficiency of your work place: By simply moving equipment around you can reduce the time and effort (motion) required to get a job done. Overall the savings in terms of time and physical effort amount to huge savings (and then profits) financially. Not heeding this simple logic can be the difference between success and failure as a company. Significantly, the very same factors can have a large impact on the amount of carbon you use, as all energy expenditure (even in terms of human energy expended) uses carbon at some point along the line: every human will expend energy that needs replacing (by eating, entailing the production of food), they will need to use transportation sometimes and so on. What a look to factors around time and motion also demonstrates is that elements that are often overlooked can in fact be the difference between financial success and ruin, and in this respect any company however large or small will do well to examine not only time and motion expenditure in terms of employee exertion, but also to look at energy expended across the company in terms of carbon output, as that too will save large amounts of money . In examining time and motion within the work place it is vital to leave no stone unturned. 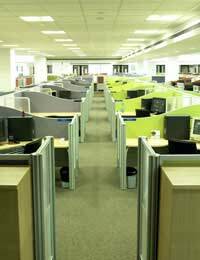 The distance for each worker from their desk to the store cupboard (for example) is as relevant as the distance and time involved in a simple or complex working process. Spend time with each employee looking at their daily routine, especially at routine tasks. Remember that whilst a worker may only have to stock up on materials every 30 minutes, if it takes ten minutes to do so that is 120 minutes of working day lost that will have to be recuperated somehow. In terms of carbon emissions you may also to look at how workers get through the day in terms of energy usage: do they, for example, use machinery that can be turned off when they are away from it, and would that actually be beneficial in terms of total energy output (some machines consume more energy in start up than whilst running)? Be sure again to look at every single aspect of the working day: If your workers drive during work, make sure the most efficient and most environmentally friendly fuel is used where possible and make sure they drive in the most efficient way, avoiding both low gears and high speeds so far as possible (see related article entitled ‘Your Fleet’ for further details). Also be sure to look at overall company policy: are monitors and computers left on, or on standby, overnight, are lights left on unnecessarily, and so on. Use energy efficient light bulbs and if you have any white goods use the ones labelled as most energy efficient. By combining a careful study of the best use of time and motion with an examination of energy usage you will effectively streamline your company, making it not only environmentally friendly (something that benefits you both in the eyes of the customers and the authorities) but also highly competitive.